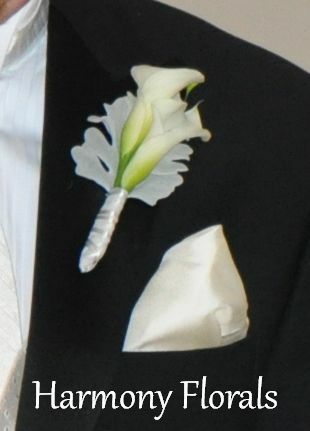 Guys, with prom and wedding season upon us it's time for a few tips on how to wear your boutonniere....just like 007. With your jacket facing you on a hanger - which is easier than attempting this by viewing your reflection in a mirror - hold the stem of the boutonniere, the front facing you, on the left lapel. 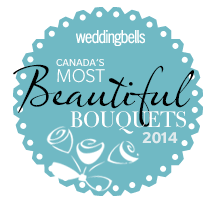 The boutonniere should sit about 4-inches below the top of your shoulder. 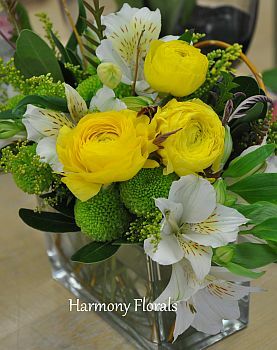 Tilt the boutonniere on a slight angle, flower facing upwards, and take a step back and look where you'll be placing it. 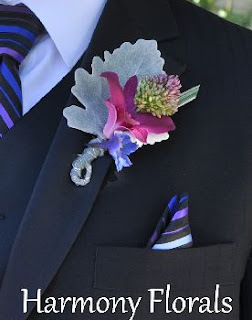 Start pinning by piercing the fabric from under the lapel on the left side of the stem of the boutonniere. Move the pin and pierce through the stem securing on the opposite side of the lapel. Ideally, the only part of the pin that should be showing would be a little bit on either side of the stem. 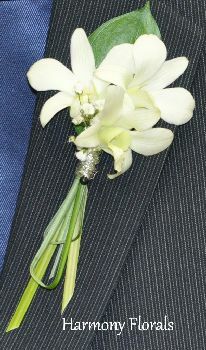 If the boutonniere is heavy two pins can be used with the second pin positioned slightly below the first. 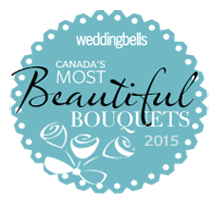 Note: a car seat belt or heavy over coat will crush your boutonniere so wait until your reach your destination to pin it on. 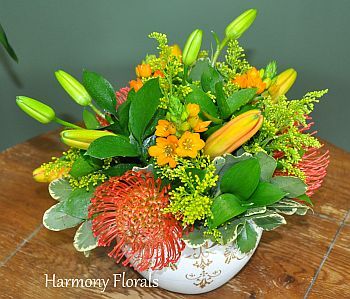 It's Mother's Day week and we're busy preparing for the big day. 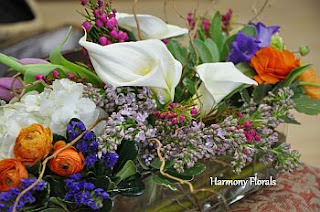 So many boxes of flowers have arrived this week that the flower cooler looks like Mother Nature herself was in there! It's wonderful - all the colours, textures, smells....but I have to remember to take my allergy pill otherwise it's all sneezing, wheezing and tears which isn't wonderful. But if Mother's Day week was not chaotic enough, I've put on our floral plate providing arrangements for a national 3-day conference and a 50th anniversary celebration...and a few other celebrations which I will share with you later. It's been long days and nights working into the wee hours to finish everything. Lots and lots of tea has already been consumed and a few too many cookies! My sense of humour hasn't gone missing so when I'm asked, 'are you busy?' I can still smile.